Here is the first gameplay trailer of Red Dead Redemption 2 showing 6 minutes of in-game footage captured in 4K. The game launches October 26. Update 3: Some people asked us for a version they could watch directly on their smart tv using a usb drive, so I've encoded the HQ version with english audio with x265 and hopefully (it's untested) it should work! Update 4: Official english version in 4K with a whopping bitrate (~66Mbps) added. Finally some ps4 pro footage! It looks gorgeous! Looks Fun! I don't like the hitmarker showing up after a kill, hopefully we can disable that. Gunplay and melee combat look like a big improvement.That part when he does a 360 turn with the horse and shoots two guys looked so fluid. 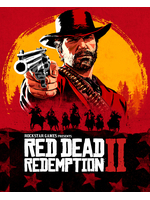 Looks like everything Rockstar wanted to do with the first one, but couldn't, either because of time or hardware restriction, but this looks brilliant. The game just looks 'alive' now. I definitely saw that with the Dead Eye at the end of the vid. In the first iteration, the camera would pan to all of victims. wow 4k 65Mbps FR version, that's awesome. i hope you get the hq english version soon. Looking back, probably hardware no wonder the whole game felt like a ghost town at times. graphics look great. but nothing in that made me excited to actually PLAY it. seems like the next video will be the one to convince me to though since it seems to focus more on the bulk of experience. Yeah, there's little details that I noticed second time watching, like when the fella with the top hat on the train got smacked and his hat spun off his head. Saloons full of people drinking, and I really hope that getting thrown out a window and taking it into the street is dynamic. That's a wild west staple. Surely it has to be a feature. I was thinking "I wonder if Rockstar will allow you to go fishing?" On the second watch, sure enough, there was fishing on a boat. Hopefully there's a bit of depth and proper mechanics to that. That's the thing: if they get really fun mechanics and a nice fun balance to things, this could well end up being the benchmark for this generation. I thought you never liked the RDR games to begin with? Not sure if any of the videos are gonna help. Not your cup of tea? FFS, they better release a PC version as well. Wow!!! The PC version will look INSANE!! Lot's of npc interactions and stuff to do! They waren't joking about spending years of making these things. Also the shooting seems to be more MP3 rather than GTA crap. I'm surprised that the game looks THIS good. I mean, even their promo screens waren't that impressive looking. This, Yakuza Kiwami 2 and bunch of great indie games will carry me over until end of the year. Pretty good year for gaming overall. WOW!!! Game of the Year. Rockstar is on another level. Blown away. First game was incredible, this looks like it will surpass the first game. i've liked sequels to plenty of games where i disliked the first. i'm sure you and everyone else has too. but i'm still seeing auto aim here and slow, heavy movement. i'm just hoping the next video shows something to indicate that isn't the case. if not, it's not big loss. as mikemaniac61 said, could just end up not being my cup of tea again. 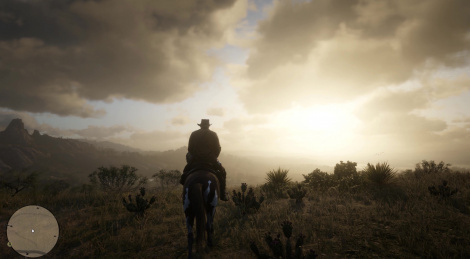 It's a gorgeous looking game, but nothing shown made me all excited to play it. In fact, it looks kind of "meh",from a gameplay standpoint. Perhaps the next video will do better. Well, Tomb Raider, Fallout 76, Red Dead 2 on my XB1X in 4K and Spiderman for my PS4 will keep me busy until the end of the year. All about single player. I’m a huge sucker for an interesting and varied world to explore. Zero dawn, watcher 3, fallout, origins, etc all games I enjoyed due to just navigating the world. This looks to provide that in spades. I can’t wait! The first game was truly amazing in my book.